With its unique blend of modern and iconic design elements, the Jordan Apex-React Men's Shoe pushes heritage to the future. Ultra-soft Nike React cushioning has a lightweight, responsive feel, while Flyknit construction contours to your foot for a cosy fit. 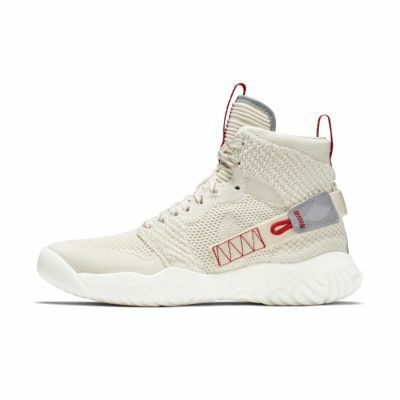 With its unique blend of modern and iconic design elements, the Jordan Apex-React Men&apos;s Shoe pushes heritage to the future. Ultra-soft Nike React cushioning has a lightweight, responsive feel, while Flyknit construction contours to your foot for a cosy fit. Flyknit construction provides lightweight stretch, support and ventilation. Strap across the heel provides a secure fit and added stability. Exaggerated traction pattern and rubber heel and toe pods enhance grip on a variety of surfaces. Have your say. 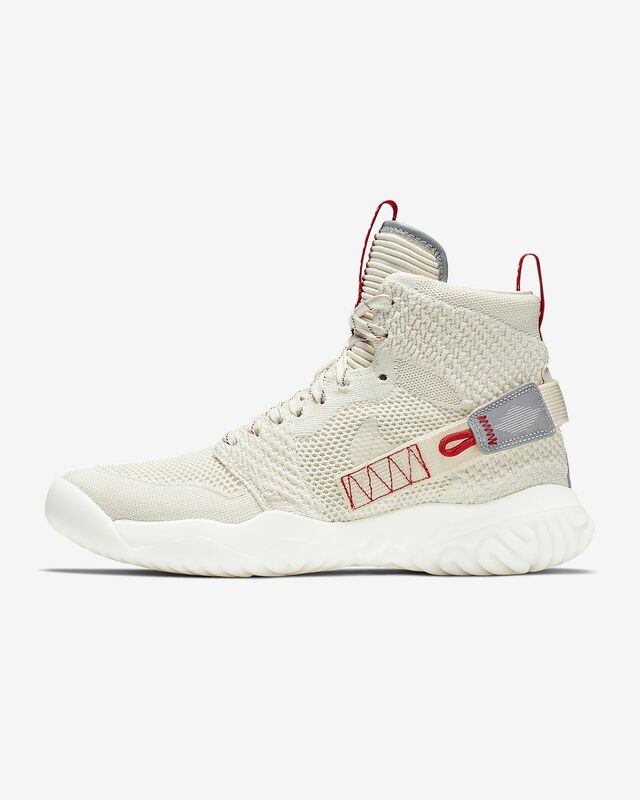 Be the first to review the Jordan Apex-React.